April is one of the key months (along with August, October and November) to listen out for frog calls and help monitor the health of local frog populations. Frogs play an important role in the waterway ecosystem and are easily affected by changes to their environment. They breathe and drink through their skin, which makes them sensitive to drought and pollution. For this reason, frogs are valuable as ecological indicators of the wider health of our local environments. the state of our frog populations than would otherwise be possible. is used to influence and inform management and planning decisions made by Melbourne Water and other organisations concerning waterway health. 1. Record frog calls each year during fixed ‘Frog Census months’ (April, August, October, November – see below). Go ‘frogging’ and visit and explore a range of sites for calling frogs during these time periods. 2. Organise a longer-term Frog Census repeated survey program in a specific site in the local area by collecting data for a year or more. This frog monitoring program could be organised with the help of community groups or schools. 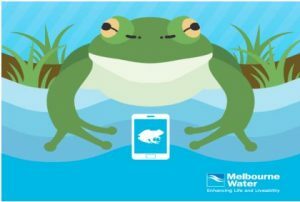 (It’s also worth checking in with Melbourne Water to see if there is already a survey group in your area that you could join). 3. 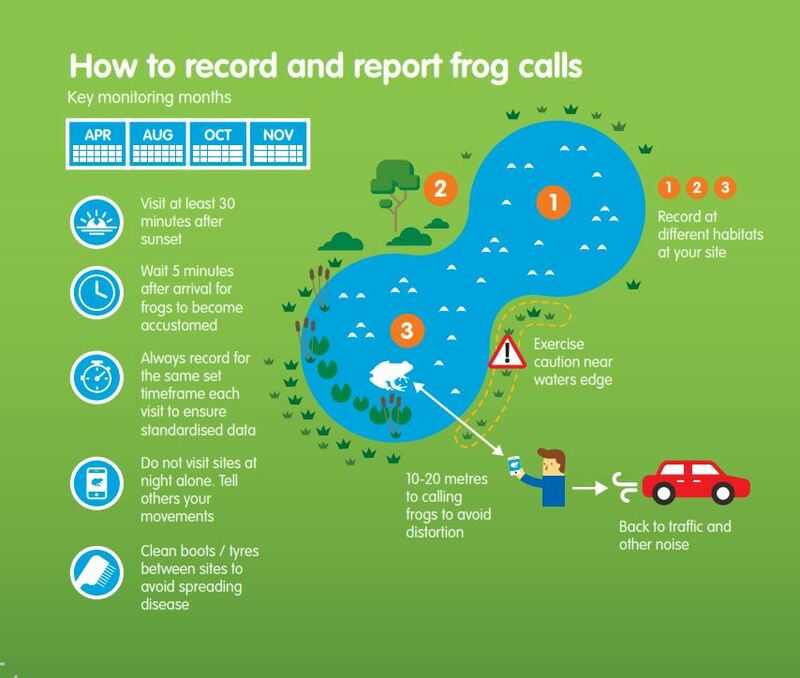 Casually record and report frog calls whenever you hear them, throughout the year. Visit the Frog Census website to download the Frog Census App and Handbook, and to discover how to safely and effectively monitor frogs, including key tips on establishing a long term, site-specific monitoring program.